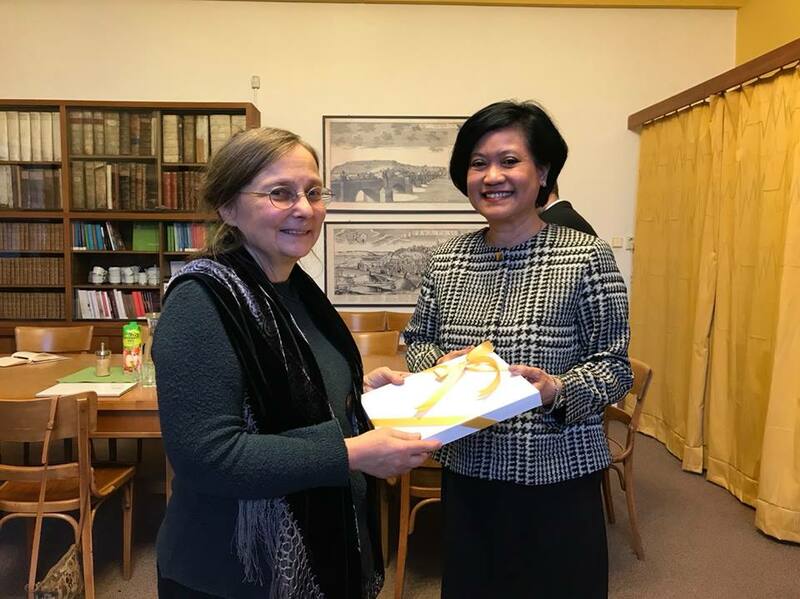 On 13 February 2019 Ambassador of the Kingdom of Thailand had a meeting with doc. PhDr. Michal Pullmann, Dean of the Faculty of Arts, Charles University, Prof. Olga Lomova, Director of Institute for the Study of Strategic Regions, Charles University and Dr. Pattarawan Youyen, Lecturer, Faculty of Arts, Charles University, to discuss and exchage views on a closer cooperation between the Royal Thai Embassy in Prague and Charles University and to further support the Thai language course at the Charles University.